Newly renovated house. Lovely sunny location. House is timber construction and iron roof. House is on an 817 sq m section with a few fruit trees. The rest is grass and fully fenced with ample parking for cars and a boat. Whiteware is all new. Main bathroom has shower and vanity with separate toilet. Both main bedrooms have walk in wardrobes and main bedroom has en-suite with spa bath. The lounge/dining area has cathedral ceilings. The table extends to seat 8, the kitchen has a breakfast bar with 4 stools. have just (March 13) installed a new mains pressure hot water cylinder. The lounge suite consists of a 3 seater, 2 recliners and a 2 seater sofa bed. 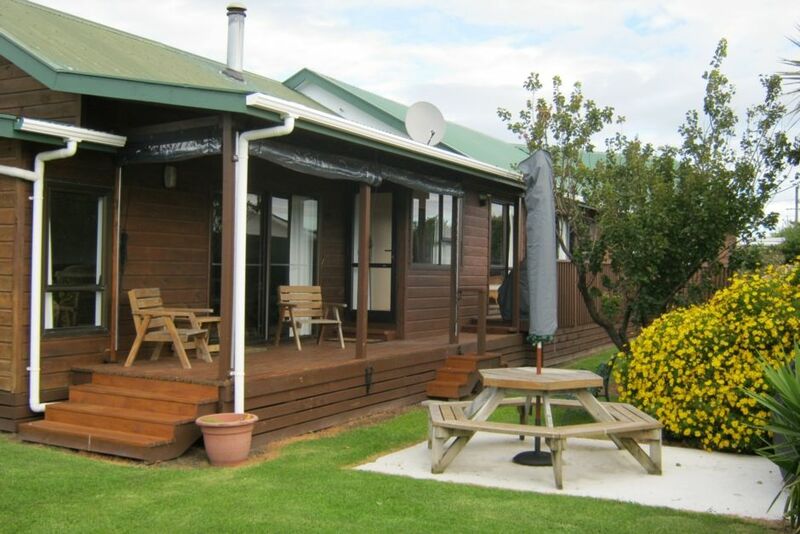 The whole layout is friendly, efficient and has a 2 metre wide gallery that extends the full length of the 3 bedrooms and has large windows and ranchslider that opens onto a full length deck. There is also a larger deck with access from the lounge ranchslider. There is a woodburner in the lounge and a rangehood in the kitchen. There is lots of room and lots of sun. The house is family friendly with some games and jigsaws etc supplied. There is also a hairdryer and we also have a high chair and portable cot that can be provided on request. Please respect the neighbours, no parties, quiet get togethers OK.
Lovely spacious house for family gathering. Son on visit from UK so organised family get together at Foxton Beach as we had previously had holidays there when family younger. Found house ideal ,plenty of room,,comfortable and had everything that we needed . Enjoyed our stay and would return. Very clean an spacious, had a lovely time. Main lounge couch an chairs could do with updating. The house was a great fit for me and my family. Lots of room, very comfortable and very clean and tidy. Not far from the beach. A very clean, warm and spacious house set in a quiet area. Plenty of space for the children, very well fenced. Within walking distance to the bike park. Thank you for allowing us to stay at your house Kerri. Would love to stay again. Our family had a very enjoyable few days at Kerrie's place. The house is spacious, well appointed and very clean and tidy. It was close to the river promenade where we enjoyed many walks watching the amazing bird life that frequent the tidal flats. The kids loved the games and DVDs but the special highlight was the bike park just down the road. We really loved our stay at Kerrie's place and thoroughly recommend it to others. We now have a fabulous cycle pump track thats very popular and also Off The Loop, which is a cable wake board park. Google it, the adventurous will love it.